Objective: the assessment of a condition of health of women with antiphospholipid syndrome (APS) and hereditary thrombophilia (HT) and a condition of health their newborn children. Materials and Methods. We examine clinically and by laboratorial and special exams (coagulogram, polymerase chain reaction diagnostics of genetics of hemostasis, ultrasonography of fetus at I, II, III trimester of pregnancy, doppler ultrasonography of blood flow in umbilical arteries, cardiotocography) 92 women with thrombophilia and their 92 newborn children (neurosonography, fundoscopy, abdominal ultrasound, nephrosonography, ultrasonography of hip joint). Results. The somatic anamnesis was more often burdened by vegetative dystonia syndrome (82.61%) at women with APS and by prolapse of the mitral valve (30.43%) and myopia (28.26%) at women with HT. In high percentage of cases fetoplacental insufficiency (60.78% at women with APS and 67.39% at women with HT), threatened miscarriage (50,00% at women with APS and 65.22% at women with HT) and cervical erosion (23.91% at women with APS and 45,65% at women with HT) was peculiarity of obstetric and gynecology anamnesis at all women with thrombophilia. Hypoxic-ischemic encephalopathy (78.26%), conjugation jaundice (56.52%) and morphofunctional dismaturity (45.65%) was diagnosed more often at children who was born to the women with APS and hypoxic-ischemic encephalopathy (65.96%) and intrauterine growth restriction (34.04%) was diagnosed at children who was born to the women with HT. Conclusion. Rather high percentage of diseases at women with thrombophilia and at their newborn children claim further development the therapy algorithm in the system “woman – fetus – newborn” with the case of decrease of the morbidity and improvement of social adaptation of newborn children in the future. 1. Akin'shina S.V., Makatsariya A.D., Bitsadze V.O., Andreeva M.D. Akusherstvo, ginekologiya i reproduktsiya/ Obstetrics, gynecology and reproduction. 2014; 4: 27-36. 3. Gubar' T.K., Alekseeva L.L., Sturov V.G. Vestnik Buryatskogo Gosudarstvennogo Universiteta. 2015; 12: 107-109. 4. Il'inaA.Ya. Modern problems of the health of the early neonatal period, infants born to women with cardiovascular pathology, APS and violation antiendotoxic immunity. MD diss. [Sovremennye problem sostoyaniya zdorov'ya novorozhdennykh rannego neonatal'nogo perioda, rodivshikhsya u zhenshchin s kardiovaskulyarnoi patologiei, AFS i narusheniem antiendotoksinovogo immuniteta. Diss. …dokt. med. nauk (in Russian)]. Moscow. 2004. 5. Il'ina A.Ya., Shumilov P.V., Turkina T.I., Kirillova N.I., Barinova A.S., Kuzin I.I., Mishchenko A.L., Kokaya I.Yu., Kashin V.N., Pobedinskaya O.S. «Pediatriya» zhurnalim. G.N. Speranskogo. 2016; 74-84. 6. Kovtun O.P., Baranov D.A., Kuznetsov N.N., Plaksina A.N. Vestnik Ural'skoi meditsinskoi akademicheskoi nauki. 2011; 4: 131-136. 7. Makatsariya A.D., Bitsadze V.O., Baimuratova S.M., Dolgushina N.V., Yudaeva L.S., Khirzoeva D.Kh., Akin'shina S.V. Antiphospholipid syndrome – immune thrombophilia in obstetrics and gynecology [Antifosolipidnyi sindrom – immunnaya trombofiliya v akusherstve i ginekologii (in Russian)]. Moscow. 2013. 8. Makatsariya A.D., Chervenak F.A., Bitsadze V.O. High Risk Pregnancy [Beremennost' vysokogoriska (in Russian)]. Moscow. 2015. 9. Sostojanie zdorov'ja beremennyh, rozhenic, rodil'nic i novorozhdennyh (Dannye Minzdrava Rossii, raschet Rosstata), Obnovleno 25.11.2016. http://www.gks.ru/. Accessed: 28.11.16. 10. Statistical Bulletin. The natural movement of the population of the Russian Federation for 2015.Federal State Statistics Service [Statisticheskii byulleten'. Estestvennoe dvizhenie naseleniya Rossiiskoi Federatsii za 2015 god. Federal'naya sluzhba gosudarstvennoi statistiki (in Russian)]. Moscow. 2016. 11. Sukhikh G.T. Mat' i Ditya. 2015; 2: 1-3. 12. Shumilov P.V., Il'inaA. Ya., Kokaya I.Yu., Kashin V.N., Barinova A.S., Kirillova N.I., Chugunova E.A., Tseloeva Kh.I., Shifrin Yu.A. Rossiiskii vestnik perinatologyii i pediatrii. 2015; 60: 165. 13. 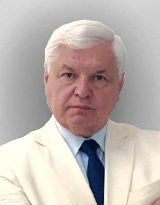 Shumilov P.V., Il'inaA.Ya., Mishchenko A.L., Kirillova N.I., Naumenko M.G., Aleshcheva A.S. «Pediatriya» zhurnalim. G.N. Speranskogo. 2014; 93 (1): 10-16.